For over 30 years, Dr. Nancy Hurwitz Kors has been working at the forefront of the adoption field. As head of Adoption Facilitation Services, she has helped hundreds of prospective adoptive parents share in the joys of parenthood. In addition to her private practice, Dr. Hurwitz Kors also serves as president of the Academy of California Adoption Professionals (ACAP). Her leadership in that organization was instrumental in the state's passing the Adoption Facilitation Law, new legislation which establishes professional guidelines for adoption facilitators. 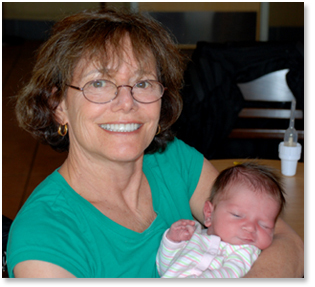 Dr. Hurwitz Kors is the author of numerous professional articles about adoption. Her work has appeared in the Pre- and Peri-Natal Psychology News and Conceive. She also lectures about her work at leading universities and hospitals. She has spoken at the University of Massachusetts and Kansas State Medical Center. Dr. Hurwitz Kors received her master's degree from the University of Texas and her doctorate in clinical psychology from York University in Toronto. At York, she did pioneering research on pregnant teens and parent/child bonding. Before becoming a facilitator, she worked as a licensed marriage, family and child counselor. Her clinical practice was dedicated to the psychology of pregnancy, infertility and adoption. Dr. Hurwitz Kors lives outside San Francisco. She is the mother of three grown sons.